Skiing can be tough on the body, especially if you only get away once or twice a year, with burning thighs a common complaint. What better then, than to relax and recharge at the end of the day with a soak in a luxurious hot tub or sauna or by indulging in a full body massage? Our guide to the best ski resort spas is here to help you find the perfect place to ease your aching limbs out of your ski boots and into the very best Jacuzzis and luxury pools. From the simple pleasure of a hot tub with a beautiful mountain vista, to an all-out spa experience complete with ice pools and flower baths, Ski Independence’s team of Ski Specialists have tried and tested (reluctantly, of course!) a wide range of spa and wellness experiences to share with you. 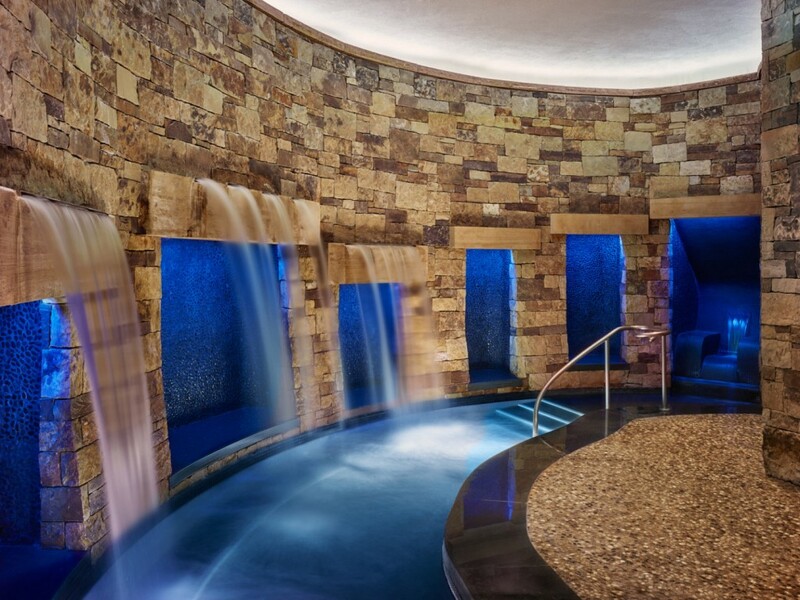 Voted the Number 1 Spa in the World by Travel + Leisure, the 1,500 square foot luxury Remède Spa at the exclusive St Regis hotel comes complete with steam caves, cold plunge pools, hot tubs, a fitness centre, the ‘Confluence’ waterfall and complimentary champagne. There’s even an oxygen lounge if the Rocky Mountains altitude is proving a little too much to handle in the first few days of your holiday. Take your rejuvenation a step further with unlimited access to Aspen’s renowned yoga studio Shakti Shala for $25 per night when you stay at the St Regis Aspen.